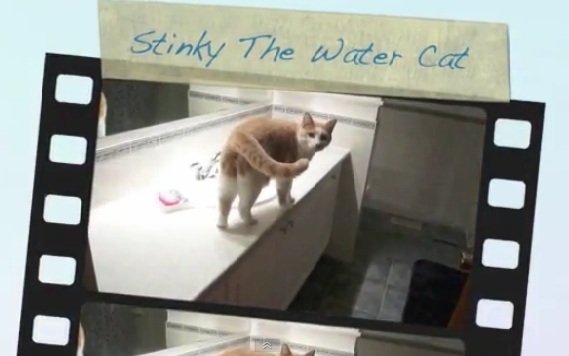 The very clean and handsome looking Stinky is a water cat by any measure. Give him the sink, a puddle, a stream, or the minnow bucket, and he’s a happy, busily engaged boy. 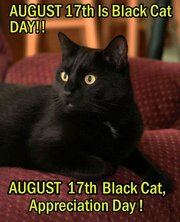 One man got the idea to honor black cats and highlight their plight as the last to be adopted at many shelters by designating Wednesday, August 17 as Black Cat Appreciation Day. Thanks to successful social networking efforts over the summer, the online event and its offshoots have made the day a big success. 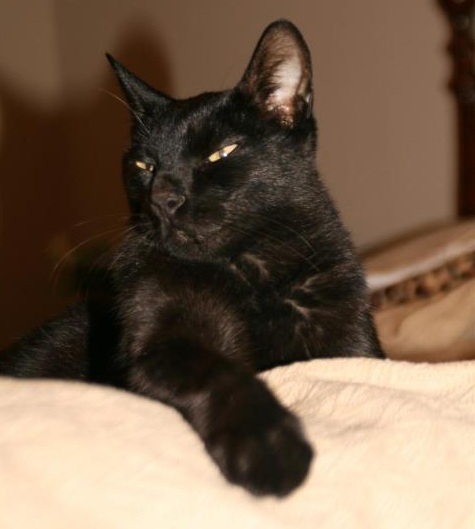 A reader shares the story of her cat Ollie in honor of Black Cat Appreciation Day. Ollie went missing in 2008 and was gone for three years. 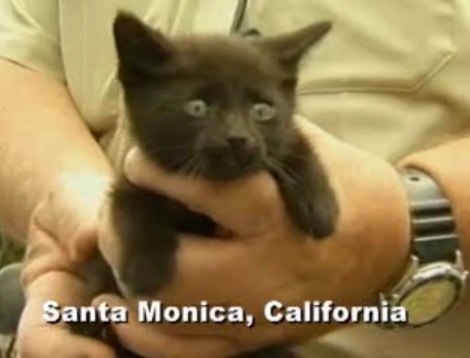 His family thought they would never see him again, but diligent animal control services staffers never gave up on finding him and returning him to his rightful home. Hey! 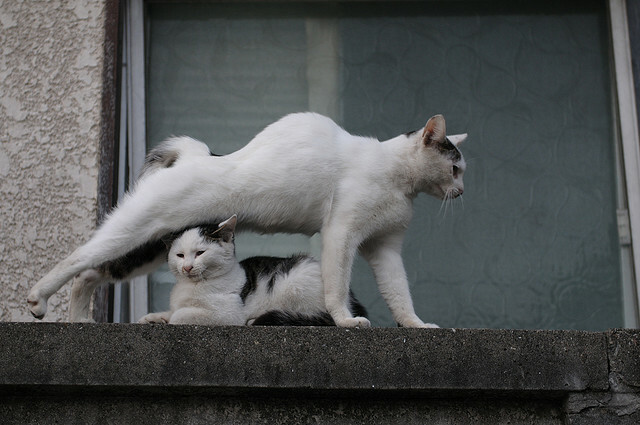 Watch where you’re stretching!